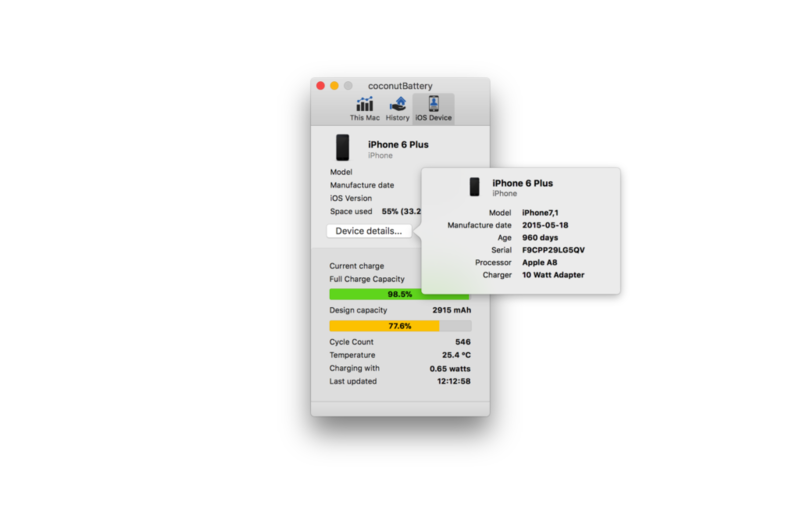 So, awhile ago, I wrote about why I didn’t upgrade my phone, but instead will get my battery changed. If you don’t own an iPhone 6, 6S or SE, you might not have heard about the recent throttling controversy surrounding batteries on older iPhone models. My device was a victim of throttling and apps and processes were running at a painful speed. I could stand the speed in most case, but waiting 10 seconds for the camera to initialize was the last straw for me. When Apple issued an apology and dropped the price to $29 to replace your battery, I decided it was time to do so. I made the first appointment I could on the third of January, when they moved the date this price was available earlier. The Shibuya Apple store was a undergoing renewal (like it needed to be any nicer), so I made an appointment at the Omotesando Store. I walked into it 5 minutes before my appointment time and reached out to a female staff after standing around awkwardly for a minute or two. The staff told me to wait but came back a minute later saying she will be in charge of my case today. The beautiful staff, holding her iPad with her kirakira nails, told me to open my Settings app and go to the About tab. From there, she scanned my IMEI number (I think) and confirmed my details. She also asked for my identification to verify that I was the owner of the phone. Next, she asked be to open Settings > Privacy > Diagnostics and Usage and tap on Start Diagnostics with Apple Support. It was a little cute that since she didn’t understand English well and my phone’s language was set to English, she instructed me with the positions of tabs instead of the label. With that, the diagnostic started. I did not have to connect my phone to anything, it was a lot more seamless than the last time I was there. It took less than a minute before she showed me a vague screen with a bunch of icons with checks on them saying that my iPhone passed all the tests. She only offered me a glimpse and I saw that the battery was about 81.x%, which was different from Coconut Battery’s diagnostic of 77.6%. I asked if a copy of that report could be sent to me but she said it was for internal purposes only and could not be done. Just a week before, Apple would not allow you to change your battery for $29 (¥3,456 including taxes in Japan) if you passed their diagnostic test (80% or more battery capacity), but after some customer outrage, they now allow you to change your battery no matter what their diagnostics say. So, I indicated that I wanted to change it anyway. She then put my phone on the countertop and said that the phone wobbles, so there is no guarantee that the phone will be successfully repaired. She said that if you choose to replace the battery as it is, the screen might crack or the phone will be no longer serviceable, and there is also a chance that the current battery cannot be placed back in. She said the best solution for me was to get a brand new iPhone 6 Plus for a little over ¥33,000. I was a little flustered by that suggestion that I did not remember the actual quoted price. She seemed pretty determined for me to get a new model instead of replacing a battery. So determined, that I wavered and worried about the fact I might be without a phone for the next few days that I nearly gave up on the replacement altogether. While she wasn’t rude at all or even impolite, she was curt and seemed irritated under that tatemae. I said, let’s go ahead with the replacement anyway and she repeated the risks and said if I am sure, that I would have to sign a waver saying I understood the risks. She told me to come back exactly an hour later and passed me a piece of paper that I should bring back with my ID to collect my phone. On the paper, it stated very clearly that the device has passed all of Apple’s tests and the body of the phone is bent. It also stated that I am aware that there might be a chance the battery cannot be replaced or the power of the device will stop functioning altogether. I returned after an hour on the dot and as you can expect from Apple, they repaired it with no problem. I got it back at 29% battery (without an ID check), so I am pretty sure they did actually change my battery. I paid for the repair with my credit card and was on my way. 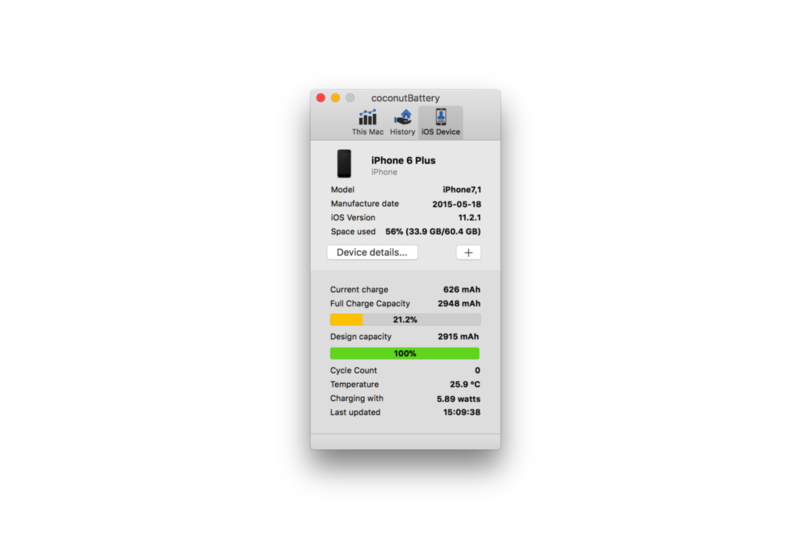 A check with CoconutBattery showed that indeed the battery capacity is back at 100%. The phone also felt like it used to, with apps opening as quickly as they should. I was most delighted that the camera didn’t take 10 seconds to initialize like it used to. 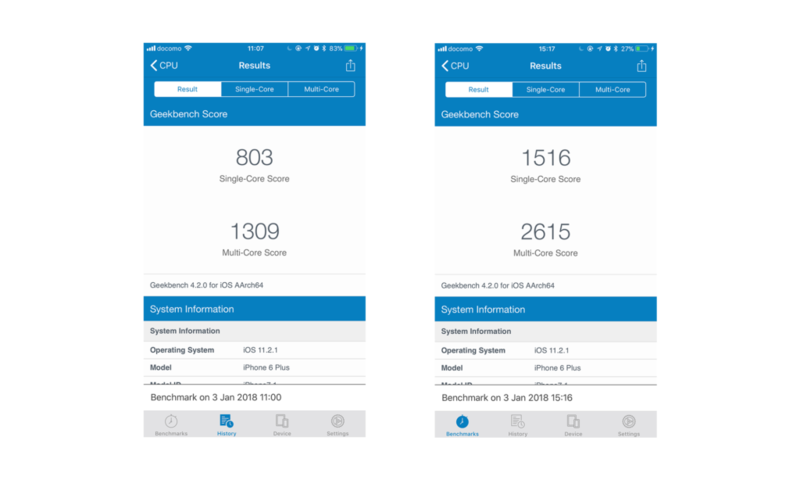 Also, the obligatory GeekBench test to show that performance has indeed improved. I only learnt about these performance tests when this whole controversy came to light, so I can’t claim to be the most knowledgeable about them. But hey, I’m a simple man. Numbers go up, phone feels faster, I’m happy. I understand that as a big company, Apple needs to cover all possible risks of lawsuits, but it also feels like they are finding every reason to deter me to replace the battery or cover their asses if their tech fucks up. Like the entire battery debacle this time round, what Apple needs to work on is their communication. It is important for you to cover your asses, but it cannot seem like that’s the only thing you are trying to do to your customer. That aside, the whole process to get the phone repair is very smooth and seamless, down to an art. The only part that I felt could be improve at this particular store was that there was no counter to go to when you first arrive, and you have to just approach a staff standing around. This was a little confusing as most of them looked busy talking with a customer or each other. Apart from that, I am confident that the Apple in-store support experience is unparalleled and anyone who have an older iPhone with performance issues should definitely go down to get a replacement. EDIT: Less than 2 days later, battery drained from 70% to 0% in a matter of minutes and won’t turn on. Brought it back to Apple and got a new phone, same model. 4 comments. I would love to hear from you! Thanks for your post. Just want to know something on the ‘Edit’ part. Was the replacement Free or did you have to pay any amount? It was completely free for my case. Just wondering why It was free, assuming since its the iPhone 6 and probably well out of warranty, and the phone seemed to have other issues with the screen bent. I’m in a similar situation and would like to know if id get a new phone if the same thing was to happen to me. Also, do you need to make an appointment to replace battery or can you walk in? So the battery exchange was not free, but because the phone failed to that, the replacement was free. You get a 90 days, warranty I think, after a repair. You should make an appointment.